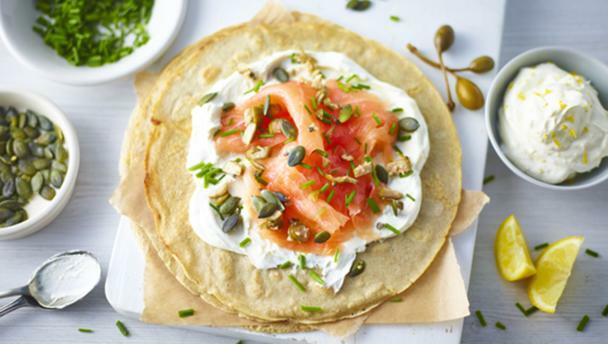 Pancake Day recipes to make you drool! 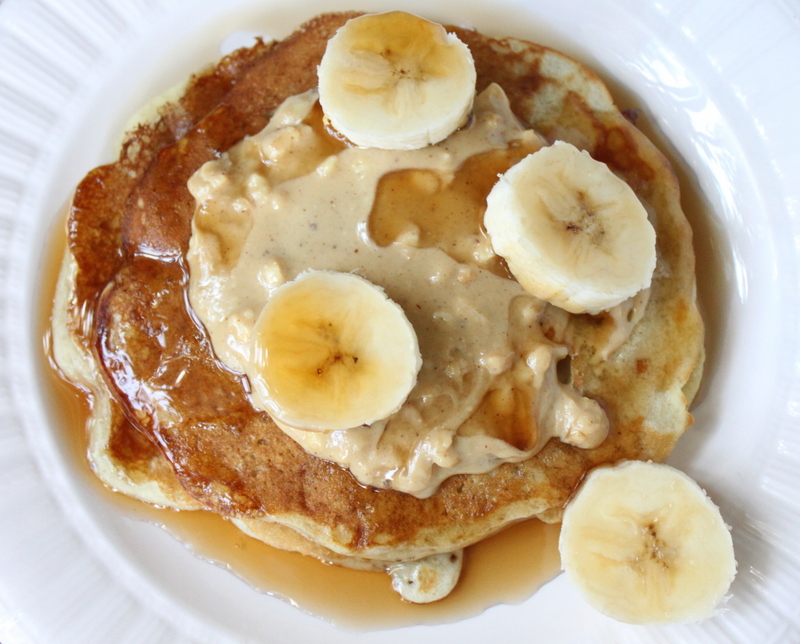 What are you going to have on your pancakes tomorrow? The only day of the year where consuming approximately 24 pancakes is acceptable! Pancake Day is all about tossing and flipping your pancakes before topping them with some tasty treats. Of course, there is the classic lemon and sugar combo, but if you’re after something a little more adventurous, we’ve got some great ideas on what you can add to your Shrove Tuesday treat. 1. Sift the flour and salt into a bowl, then make a hole in the middle of the flour using a spoon. 2. Break the egg into the hole. Add a little of the milk and beat with a wire whisk. 3. Beat in the flour to make a thick batter. Gradually whisk in the rest of the milk, then pour the smooth batter into a jug. 4. Lightly grease a small non-stick omelette pan with coconut oil and wipe out any excess with kitchen paper. 5. Heat the pan until very hot and then pour just enough batter in to cover the bottom thinly. As soon as the top is dry and the bottom is golden brown, flip the pancake over with a fish slice or round-ended knife – or if you’re feeling brave, toss it. 6. Cook for 1 minute or until the underside starts to brown. Slide the pancake on to a plate. 7. Grease the pan again with the kitchen paper and make more pancakes in the same way, keeping the cooked ones warm while you make the rest. Mash the banana: Peel the banana and break it up into several big chunks in a bowl. Use a fork to thoroughly mash the banana. Add any extra ingredients: These pancakes are pretty great on their own, but a few extras never hurt. Add 1/8 teaspoon of baking powder for fluffier, lighter pancakes, and whisk in salt, vanilla, cocoa powder, or honey to flavour the pancakes. Save any chunky, heavy ingredients — like nuts or chocolate chips — for when the pancakes are in the pan! Stir in the eggs: Whisk the eggs together until the yolks and whites are completely combined. Pour the eggs over the banana and stir until the eggs are completely combined. Heat a frying pan over medium heat: Melt a little coconut oil in the pan to prevent sticking, if you like. Drop roughly 2 tablespoons of batter onto the hot pan. It should sizzle immediately — if not, turn up the heat slightly. Sprinkle any loose toppings, like nuts or chocolate chips, over the top of the pancakes as the first side cooks. 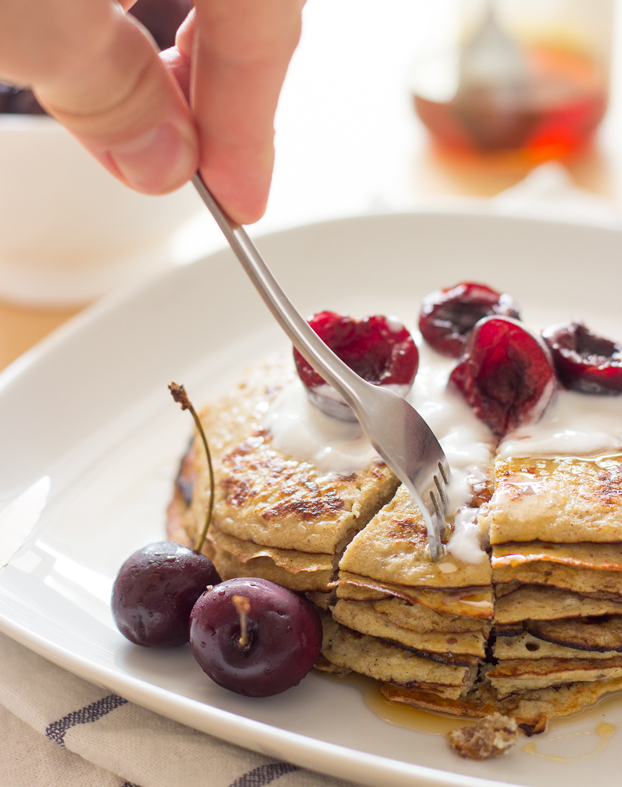 Flip the pancakes: Best to do this very gently and fairly slowly — the opposite of regular pancakes. Gently work a spatula about halfway under the pancake, then lift until the unsupported half of the pancake is just barely lifted off the pan. Lay the pancake back down on its other side. Some of the loose batter will probably spill onto the skillet as you do this; just be sure to lay the pancake on top of the spill and nudge any excess back under the pancake. Continue cooking the pancakes: Transfer the cooked pancakes to a serving plate and continue cooking the rest of the batter.